The now red-tagged home at 1635 G St.
A few weeks after residents along a stretch of G Street in Eureka received letters in June announcing they had won their small claims case against the city’s most notorious landlords, another arrived in the mail. The case was going back to court. The landlords, Floyd and Betty Squires, had appealed Judge Timothy Cissna’s ruling that found the couple failed to properly manage two buildings on the street and awarded neighbors varying amounts in damages. But, under the small claims appeal process, all the Squireses needed to do was pay a fee and fill out a form to be granted what is called a "trial de novo" before a different judge in a bid to throw out the thousands of dollars in damages Cissna had distributed among the 20 neighbors. 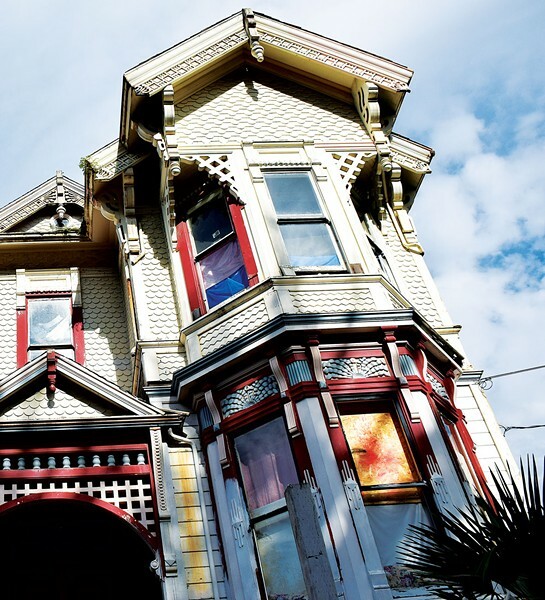 “The other trial just gets pitched out, like it never happened,” says Ron Kuhnel, who lives directly across the street from the problem properties in a majestic Queen Anne Colonial Revival-style Victorian built in 1908. Kuhnel and his wife, who had painstakingly restored their home, had each been awarded $4,500 of the $10,000 possible in small claim cases. On July 10, the neighbors found themselves back in the Humboldt County Courthouse, where they had spent three weeks in May representing themselves in the small claims trial, which saw dozens of witnesses and several city officials, including Eureka Police Chief Andrew Mills, take the stand. 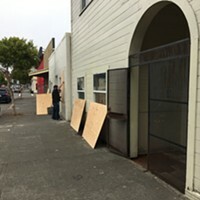 This time the case will land in front of Judge Dale Reinholtsen — who also happens to be presiding over the Squireses’ six-year-long legal saga with the city of Eureka over conditions at 26 of their properties, including the two on G Street. Reinholtsen granted the neighbors’ request for an extension and a new hearing is now set for Oct. 2. And unlike the small claims trial, the legal action is now in civil court, meaning the neighbors and the Squireses can bring in attorneys to argue their case. While securing the new hearing is a relatively simple procedure, if a judge finds the Squireses appeal was “intended solely to harass or delay the other party or encourage the other party to abandon his or her claim,” he or she would have the discretion to award the G Street neighbors an additional judgement of $1,000 in attorney’s fees and another $1,000 in expenses. Kuhnel says the neighbors — who have repeatedly said the suit was not about the money but reclaiming their street — are still deciding whether to hire legal counsel. The Squireses attorney Bradford Floyd was out the office and not immediately available for comment.